I agree. I remember somebody saying in the past that, to get promoted from this league, you have to go on a run of about 10 winning games in a row. Well both us and Benburb have pretty much done that from the start, so we'll see what happens from here. Good to get a home draw, but we are only too aware of the danger of Ashfield with them having put us out of the West of Scotland Cup last season. A home draw is all you can ask for in the cup.The rest will be up to the players to try and progress to the next round .You only have to look at last year to see how Wishaw done. 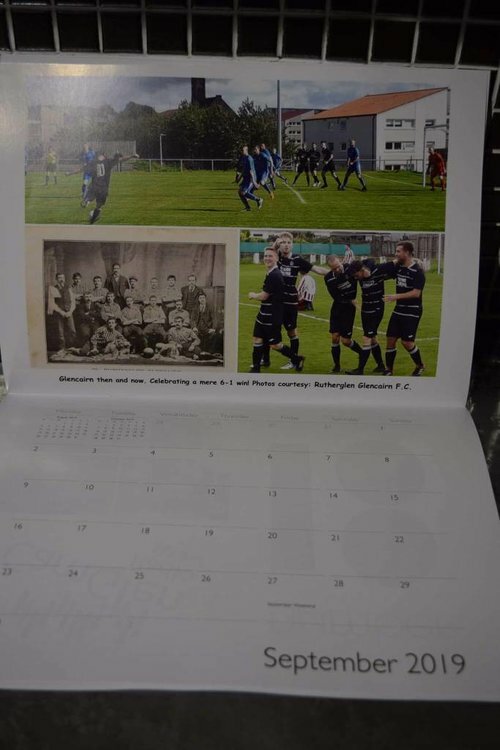 The club are delighted to be featuring in the Rutherglen 2019 calendar which is now available. The calendar is designed by Jan Robertson and costs £7, with 50p of each calendar sold going to St Andrews Hospice in Airdrie. 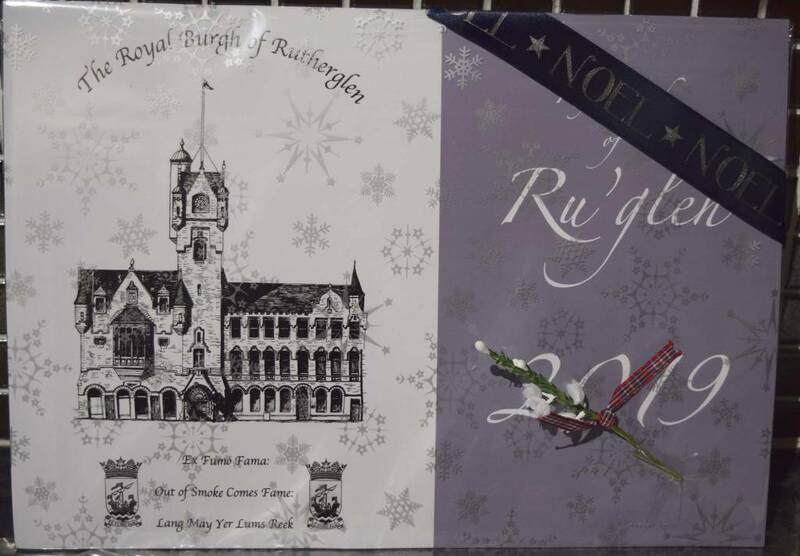 The calendar is available from the Town Hall and various other outlets in Rutherglen and Burnside. Rutherglen Glencairn are pleased to confirm the signing of midfielder Ryan MacBeth, previously with Partick Thistle, Clyde, Pollok and Cambuslang Rangers. Ryan (27 years old) is eligible to play in this Saturday's match against Wishaw Juniors in the West of Scotland Cup. It was good to get back to winning ways today, although we took until midway through the second half to get the breakthrough. Five changes to the team after last Saturday, and it was pleasing to see Dale Simeon back in there and performing well, although he understandably tired in the second half after a month out of action, the same for Gary Smith. Credit to Wishaw, they made it difficult for us and could have had a goal or two themselves, but we were pleased with a clean sheet after conceding three last week. Pictures and a full match report from today's West of Scotland Cup win away to Wishaw Juniors (from the official club website) are here. The slow motion comments are priceless sometimes. It speaks volumes for the standard that both Glencairn and Benburb have set this season, that we have 32 points out of 39 so far this season and yet we left James McGrory Park this afternoon gutted that we'd lost our place at the top of the league table. 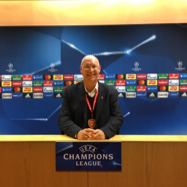 There's no question that we have a chance of winning the league this season, and that is definitely in the management and players' thoughts, but for me the first priority is finishing in the top three and being promoted to a potential West Region League inside the SFA pyramid. Anything better than 3rd is a bonus for me personally at the moment. In that respect, we're doing not too bad at all. So, while our last two league results have not been what we wanted, we have put a lot in the tank in our opening 11 games and have given ourselves room for the odd slip. Benburb have been going about their business very effectively and quietly, and they deserve their no.1 position tonight. We have Simeon back in the team now and I thought he was terrific today. Once we get Leyden and Smith back up to full speed I have no doubt that we will click back into gear again. We were never going to keep up that run of results all season. This is a sticky patch for us but we're still only two points off the top, and we have games in hand over the teams in 3rd and 4th as well as a good lead over them. Benburb v Glencairn in three weeks is shaping as a cracker, but both of us have Neilston away to play first, and they had a good result today as well, So one game at a time. Pictures and a full match report from today's 2-2 draw away to St Roch's (from the official club website) are here. It's been 8 weeks since we had a home game (end of September), so it'll be good to be back at home tomorrow and we now have 6 home games over the next 8 weeks. Our home form has been excellent so far, so hopefully we can continue that by staying in the Scottish Junior Cup and getting ourselves into a strong position for promotion by mid January. One game at a time though, starting with the visit of in-form Ashfield in the cup tomorrow, a tough match is anticipated. Good to bounce back to form today, although we still weren't at our best. Once we had taken the sting and enthusiasm out of Ashfield's lively start, we had the game wrapped up by half time. It was good to see Gary Smith getting some game time and getting on the scoresheet after a good few weeks out. Pictures and a full match report from today's 7-1 Scottish Junior Cup win v Ashfield (from the official club website) are here. Glencairn's final goal in this afternoon's 7-1 win was the team's 80th competitive goal of the season in only 20 games. Rutherglen Glencairn FC are supporting our local food bank in the run-up to Christmas, and would invite donations to be brought to our home games on Saturdays 1st and 15th December. We would also welcome items for babies, e.g. nappies, baby food, clothing etc."